John's Labour blog: Evening Canvass and offering support by local Councillors to Residents in Forest Gate following tragic murder. Evening Canvass and offering support by local Councillors to Residents in Forest Gate following tragic murder. 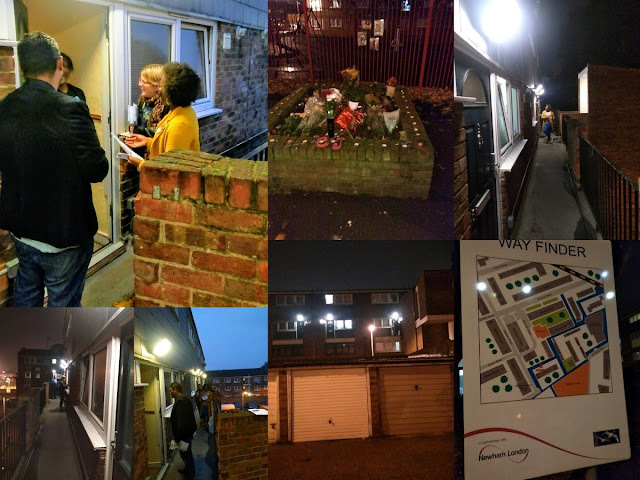 Photo Collage from an evening door knock and street surgery last month in Forest Gate North, London by local ward Councillors (Rachel, Seyi & Anamul) and party activists. This was a sensitive matter since the area had experienced what is thought to be a gang related murder of a young boy only a few weeks previously. Local residents were obviously still very upset about what had happened but were appreciative of the Councillors for coming out to speak to them. It is actually quite an uplifting experience that residents we spoke to were still shocked but on the whole very positive about the area (the estate itself appeared to be clean, well maintained and also well managed. Well done Swan Housing).